Friends of the Calhoun County Library - The Friends of the Calhoun County Library (FOCCL) is a 501(c)3 non-profit organization that sponsors and supports library book clubs, fundraisers, teen internship opportunities, and library advocacy efforts. FOCCL book sales are held in the Friends Room of the Library on Tuesdays from 2:00 p.m. – 5:00 p.m.
OCtech QuickJobs Development Center (803-874-2443) - The Library and QuickJobs center opened in June 2010. Residents can now take classes and access area OneStop and employment division services. Staff in the QuickJobs center offer assistance with job searches, resume writing, WorkKeys testing, and unemployment insurance filing. The computer lab has specialized computer programs for job seekers and is available to individuals seeking employment and OCTech students. 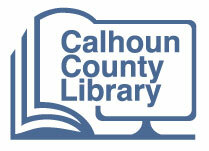 Calhoun County Schools – The Library and Calhoun County Schools are partners in youth education. Our Youth Services Librarian serves as an official Library / CCS Liaison and works with media specialists and teachers to select and provide materials for students. During the school year, the Library and schools partner in the marketing efforts of ongoing programming. During the summer months, the Library serves as a testing site for youth needing to take Accelerated Reader tests. First Steps of Calhoun County – Parent Educators affiliated with the First Steps programs provide quality storytime programs for toddlers at the library. Volunteers from First Steps also help with summer reading and holiday programs. The Calhoun County Museum and Cultural Center – As part of the Museum's mission to support the arts and educate the public about our cultural heritage, the Museum provides financial and logistical support for library programs, such as summer reading events. The Library and Museum also offer joint programs in areas where archival information and library information services intersect, such as genealogy assistance and events about local authors. Cross County Connection - Transportation for Orangeburg and CalhounCounties which is a cooperative effort of volunteers, agency representatives, educational institutions, and elected officials in Orangeburg and Calhoun Counties.